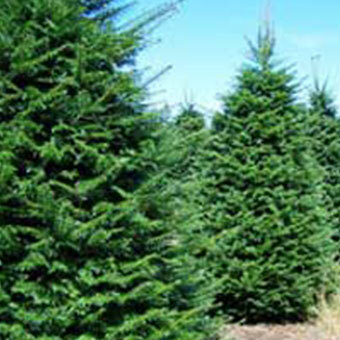 The Noble Fir, often called the “Cadillac” of all Christmas trees has rapidly become the most popular Christmas tree in Southern California. Nobles stays fresher longer in the home because of its ability to retain water. 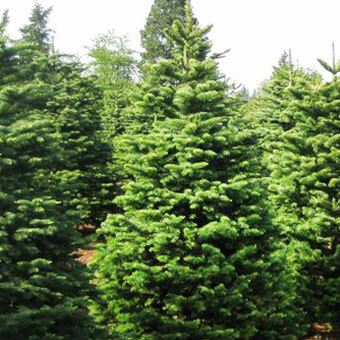 The Noble Fir, often called the “Cadillac” of all Christmas trees has rapidly become the most popular Christmas tree in Southern California with sales now approaching 50% of all trees sold. 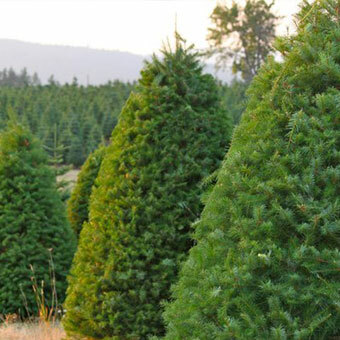 The reason for the Nobles popularity is that it stays fresher longer in the home because of its ability to retain water longer than the Douglas and Grand Fir, it is easier to decorate because of the spacing between the branches, and its natural beauty. 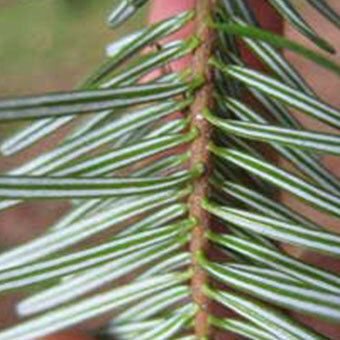 The Noble’s needles are roughly 4-sided, over 1 inch long, bluish-green but appearing silver because of 2 white stomata on the underside and 1-2 rows on the upper surface the needles are generally twisted upward so that the lowers surface of branches are exposed. Nobles are native to the Siskiyou mountains of northern California and the cascade and coastal ranges of Oregon and Washington.